If you are passionate about RV camping and consider it an inevitable piece to complete the jigsaw puzzle of your life, you should consider making some resolutions to add more appeal and adventure to your RV adventures. Grand Lake is one of the most popular places people enjoy RV camping in OK. Furthermore, Monkey Island RV Resort is the best Grand Lake, OK, RV resort. But before heading off, you should check out these 10 resolutions that every RV camper should make. When nature beckons and the road lies open in front of you, it is impossible to resist the nomad inside. But don’t get carried away with your emotions and start driving at high speed. This is a big no for RV travelers. Instead, make a resolution to drive at a slower pace to savor everything from the very beginning of the journey. Stop every two hours for a healthy snack break. Take advantage of exercise opportunities. When RVing, you need zeal for exploring as much area as you can. The concept is to break away from your comfort zone and explore places that you haven’t visited before. You may feel that you have wasted the trip if you fall into the rut of traveling to the same place repeatedly. Make the resolution to expand your area of exploration. RV camping always requires a proper plan. Here is where the RV campers are different from the wanderers. It sounds interesting to discover a place that may not be trodden yet, but there is no point in losing yourself amid nature and having no clue how to return to your Grand Lake, OK, RV resort. Encourage your wanderer soul, but balance it with the wise mind of an RV camper carrying a map. If you want more solitude, you should choose the off-season for camping. Fewer people travel during the off-season, so the place will be less congested. The crowd in peak season also leads to higher prices, less availability and more chaos. It is fun and helpful to document the places you travel to. You can continue in the same journal with different chapters to describe your experience each time, or you can have a totally different one for each trip. It will inspire you to plan the next RV camping trip and also help you cherish your memory of each camping journey. Generally, the popular places for RV camping are on the lap of nature, and visiting those places shouldn’t involve ruining the environment. You should maintain cleanliness when you are camping. Keep a portable bin with you to store waste and dump it in the proper place. You are going to enjoy nature during your RV trip, so communication via technology should be pushed aside. It can disrupt your enjoyment of RV camping and the beauty of nature. Keep yourself off of social media and messaging apps, and avoid making calls so that you can focus on your trip. Nature is going to make your trip beautiful, so shouldn’t you contribute a little to make it stay that way? Saving energy, installing solar panels, living a simple lifestyle and recycling are all great contributions to help the environment stay green and healthy. The way you plan your trip to a Grand Lake, OK, RV resort can be inspiring for others and encourage them to start their own journey. Make sure not to do anything that can give a bad reputation to all RV campers. 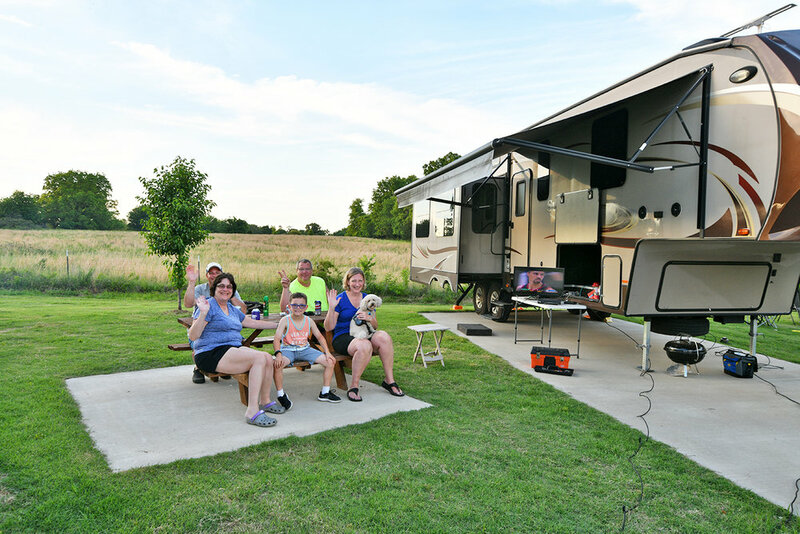 If you need any assistance to plan your trip and find the best Grand Lake, OK, RV resort, you can contact Monkey Island RV Resort, one of the best places to stay while RV camping in OK.